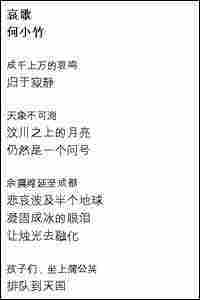 Quake's Artistic Aftershocks: Chengdu Poetry Chengdu, China, is known as a city of writers — with an especially strong community of poets. Last week's earthquake already has made its mark. 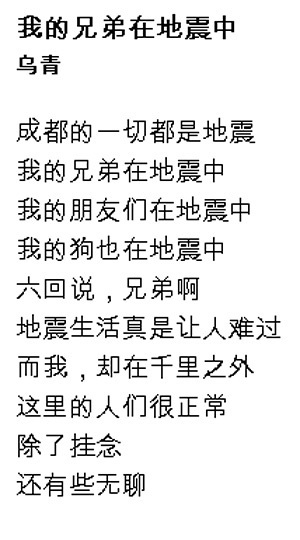 Poet He Xiaozhu says he wrote a poem about the quake both for those who died and as a way to release what's in his heart. All Things Considered was preparing for a week of China coverage when the quake hit. Chengdu, China, is known as a city of writers — with an especially strong community of poets. Last week's earthquake has already started filtering into local writers' works. 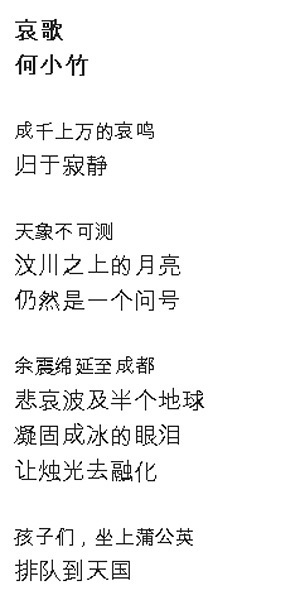 Here are two poems by Chengdu poets about the earthquake. At the time of the earthquake, 45-year-old He Xiaozhu was working on a novel on the second floor of a teahouse in Chengdu. 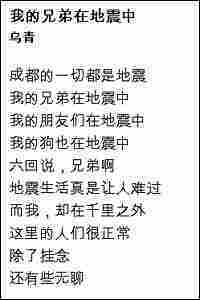 Chengdu poet Wu Qing, 29, was away in Shanghai when the earthquake struck. 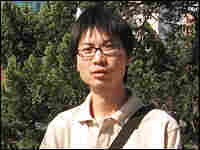 He is planning to return to Chengdu at the end of May.